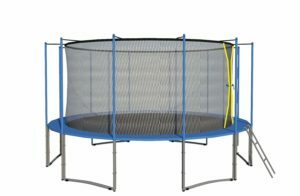 >> Heavy Duty Trampolines for Adults: How to Choose a Good One? 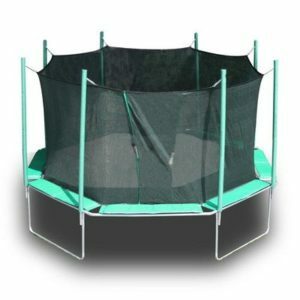 Heavy Duty Trampolines for Adults: How to Choose a Good One? Contrary to popular belief, trampolining isn’t exclusively a kid’s birthright to fun – trampolines for adults also exist! Adults can also enjoy the pure exhilaration of catapulting through the air. Besides fun, trampolining has a whole host of benefits – from losing weight to strengthening your joints. According to the National Center for Health Statistics, the average weight of an American adult man is 195.5 lbs. Hence, to be on the safe side, the best adult trampolines should have a maximum weight range that is well beyond the average weight of an adult. 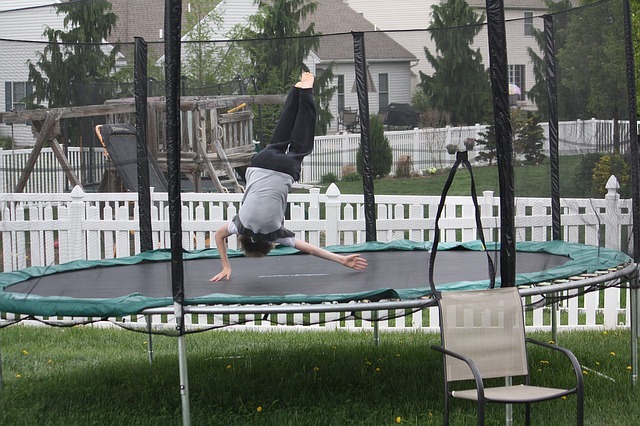 Using a trampoline not meant to sustain the weight of adult jumpers is a disaster for mishaps. Trampolines for adults are usually more than 10 feet in size while kiddy ones usually measure at around six feet. We’ve suss out the best heavy duty trampolines to help you kick-start your new year’s fitness (or spend more time with the family having fun) resolution. 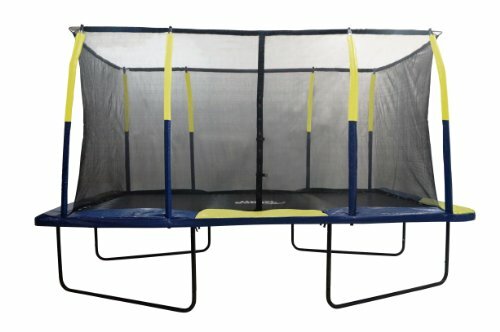 This Acon trampoline for adults has a generous 15’ jumping surface lets kiddos hop on with you too. While there is no single user weight limit (maximum total weight restriction is 800 lbs), this means everyone in the family could possibly be springing into air all at once. A fantastic trampoline for adults and kids alike, its long 8.5” springs ensure a smoother, deeper bounce (none of those abrupt hard landings on trampolines made of shorter springs) that is more gentle on your bones and joints. For more of the best trampoline reviews in general click here. Acon is a Finnish brand and the country’s harsh climate conditions has probably shaped the way in how its trampolines are built in a big way. It’s designed to last throughout all seasons so you don’t even need to keep it during winter. The polypropylene mat has been cross sewed 6 times for more durability and UV treated. Its thick frame pipes have been galvanized inside out which guarantees non-rusting and sturdy support when you’re jumping on it. However, some people mention that the safety net enclosure is a nightmare to put up. 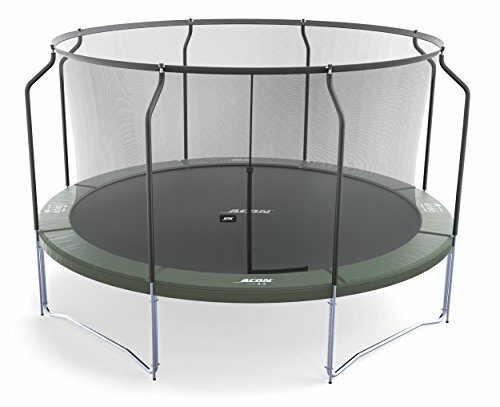 This subsequently lead to the safety net enclosure quickly falling apart, making consumers feel that they should have chosen a more affordable adult trampoline instead of splurging on the Acon trampoline. 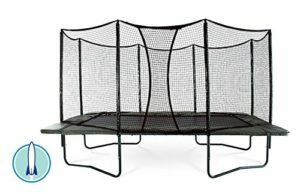 Sporting a space-saving rectangular shape, this heavy duty trampoline is great for fitting into little backyards. Rectangle trampolines are known for their optimal bounce and high lifts and this Upper Bounce trampoline for adults comes with a range of features that makes it easy for you and the whole family to enjoy jumping fun safely. The trampoline frame is engineered with heavy duty, rust-resistant galvanized steel and powder coated black for longer durability. There are 90, 7” ultra-bounce galvanized springs that empower you with the ultimate bursting strength and yet offer deep, gentle bounces that don’t adversely impact your bones and joints. This means everyone – from 6 years old to 60 years young can spring through through the air and land safely without hurting themselves. Even if this is a trampoline for adults, it comes with all the safety features to ensure injury-free fun. The thick safety pad prevents hard landings while the safety net enclosure is high enough to prevent you from accidentally jumping off the surface. It also sports dual closure entry with zipper and buckles to ensure utmost safety. However, some trampolines for adults aren’t without their flaws. Some people gripe about the difficulty of assembling this particular one. The jumping mat and pad are only good for about a year before signs of wear and tear begin to show. 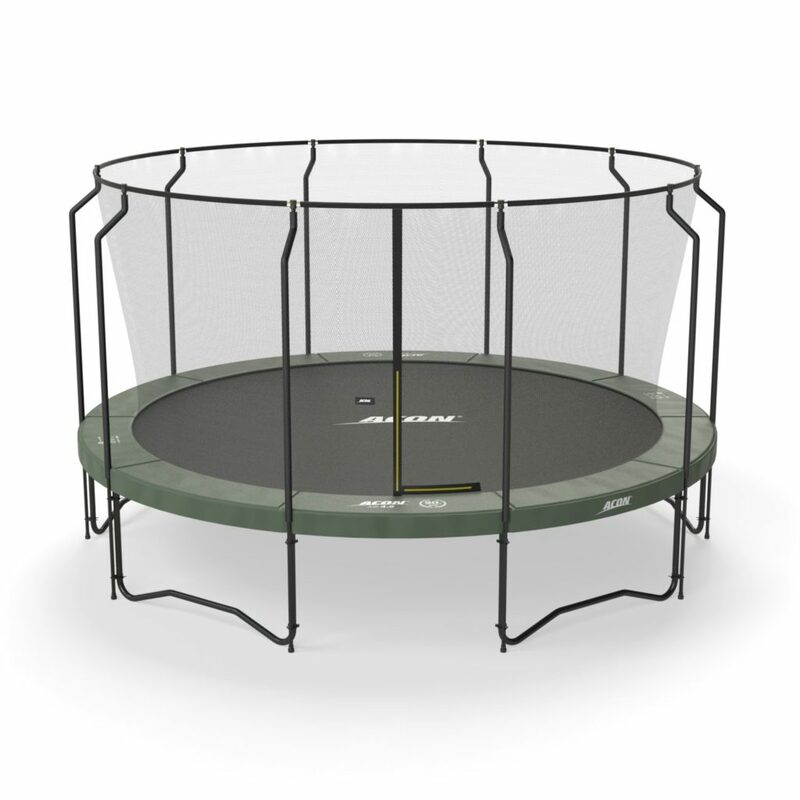 The Kidwise 16’ trampoline not only makes for a fantastic trampoline for your kids, it’s one of the best heavy duty trampolines for adults as well with its 450 lbs weight limit. Besides, this 16’ trampoline not only boasts one of the largest jumping surfaces, it also has a lot going to offer safe bouncing fun for everyone. Its safety net enclosure is integrated into the jumping mat without any openings which could pose possible danger. This eliminates the possibility of little children bouncing through the openings. Moreover, the net has a high tensile strength that wouldn’t tear easily, safely catching any hard landings. Besides being strong, the enclosure is also smooth without any holes where little fingers could get stuck. 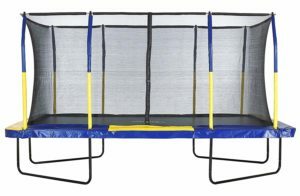 It’s also a heavy duty trampoline for adults with 112 springs (14 on each side) to ensure deep, soft bouncing that’s gentle on your bones and joints. This minimizes the chances of injury from abrupt, hard landings. All sides have their own safety pads to prevent hard landings. All and all, the sturdy Kidwise 16’ trampoline is a heavy duty trampoline that can truly support the weight of an average adult. This ExacMe 16 ft trampoline could be the best trampoline for adults and safe family fun. Having 6 W-shaped legs with 12 contacts points with the ground, this means more stability than other trampolines with only 4W or 5W legs. Its rust-resistant galvanized trampoline frame will also last you for many years of safe jumping exhilaration for yourself and kiddos. 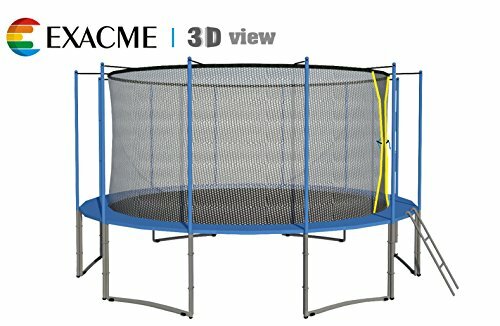 In fact, the ExacMe 16 ft trampoline has safety as top priority. The safety net enclosure is weather resistant and its poles are covered with thick, waterproof padding to prevent any accidental hard landings. Its mini ladder lets kids get on and off the trampoline safely and is securely tucked under the safety pads – no hard or sharp edges that could pose possible dangers. While many people love this adult trampoline’s thoughtful design and solid structure, there are also some complaints. Some buyers are unhappy that several springs had ripped off only after a few months of usage. The quality of the safety net enclosure zippers and clasps leave much to be desired as well. One of the most trusted trampolines for adults, this top-end rectangle trampoline comes with a whole host of patented technology to give you maximum peace of mind. The DoubleBounceTM & SafeBounceTM technology boasts enhanced shock absorption and Triple & Dual-StagedTM Springs provide for a softer bounce. This means there are less hard/awkward landings and are more gentle on the bones for jumpers of all ages. The safety enclosure of the AlleyOop Rectangular Trampoline features patented technology as well. It boasts patented back-up systems to offer continuous protection even in the rare case of net collapse. 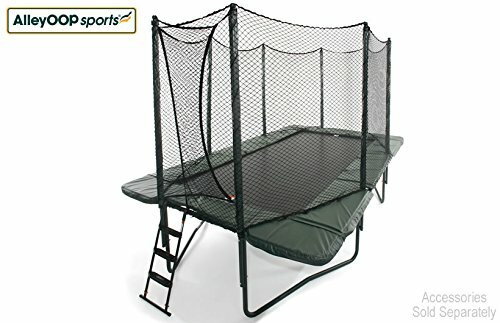 Its overlapping entry also lets jumpers easily slip in or out of the trampoline without having to remember to zip up any flap-door entry. People who bought the AlleyOop PowerBounce adult trampoline all feel that it’s worth every cent of their investment. Copyright text 2016 by Trampolizing.